We daily watch many web pages on the internet, but sometimes some pages look interesting and you really wanted to download these pages. Perhaps you can go with "save page as" option in the menu bar. It is not so efficient method to save any web page, so here is a simple procedure of saving your document as PDF (Portable Document Format). This process is easy to do in 4 simple clicks. Step 1: Open the web page that you want to save to your computer in google chrome. 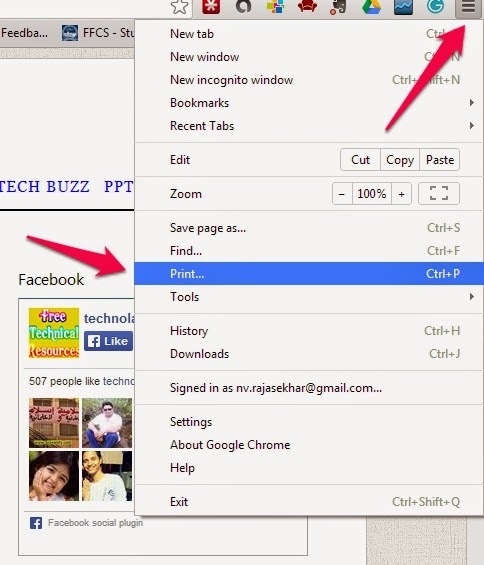 Step 2: press Ctrl + P on the keyboard or you can go to Settings --> Print at the top right side of the screen. 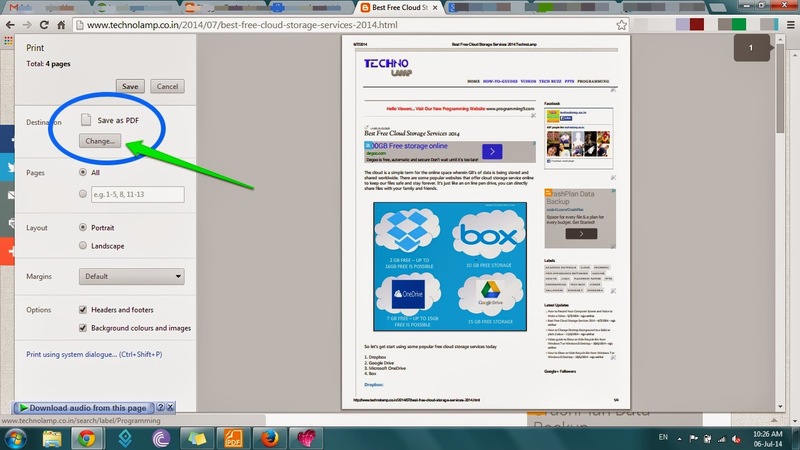 Step 4: Now Click on Save button, and specify a destination on your computer to save that page.